In the previous chapter we have analysed the many links between behaviour, neurological, immune and endocrine activity and cancer with an emphasis on the physiological, cellular and molecular mechanisms that can explain such links. We now shift to the next level of analysis where the focus is on complex individual behaviours and how such behaviours interact with various aspects of our biology to potentially affect cancer development. Conversely, cancer may also cause psychological changes in the individual affected. We start with an analysis of psychological distress that may potentially conduce to depression, to then proceed to other emotional and also cognitive aspects of cancer, including cancer effects on memory. A very topical issue in behavioural oncology is the relationship between personality and cancer, a subject that will be reviewed in detail in this chapter. Cancer and psychology may be potentially associated at all levels of mental activity; here we also explore the relationship between cancer and dreams. 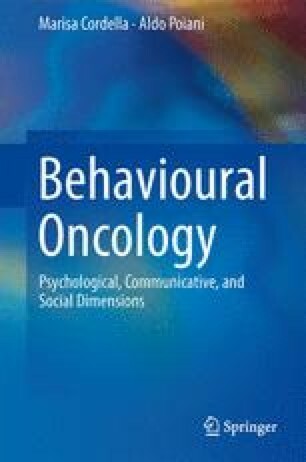 The chapter continues with an analysis of the effects of cancer on sexual behaviour and the effects of gender and age on the psychology of cancer patients. Issues of behaviour and infectious causes of cancer will be analysed next, to end with a section on psychological morbidity in oncology, with special emphasis on mental effects of brain tumours.